If you have been following AnnMaria’s Chilean Adventure, you know that the topic of discussion has been coming up with a new name under which to sell our games in the Latin American market. 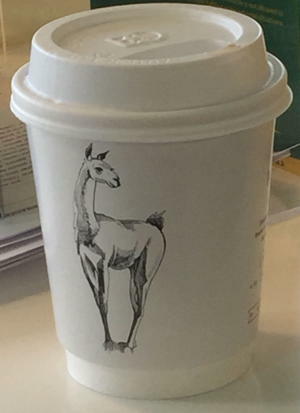 I asked my colleagues at Start-up Chile if they liked Estudio 7 Llamas o 7 Llamas Estudios. Below are some quotes from our whatsapp chat with Dennis chiming in from FaceTime. Names have been changed to protect the guilty. Oculus Rift Guy (ORG): People are used to names in English. Keep an English name but 7 Generation Games is too long. Language Guy (LG): I would keep the name, as Latinos we tend to think that if it’s in English is better quality and more attractive. Or if you want to change the name I would do it in English anyway. Web Baby App Lady (WBAL): Sorry, I do not find the name attractive. Me (ME) : Noted. Web Baby App Lady was bitten by a llama as a child. WBAL: It was a goat but same- same. 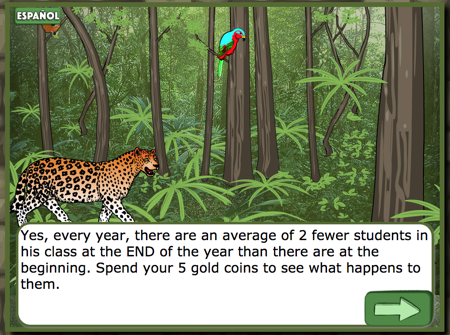 Coding School Guy (CSG): Too long. ORG: It’s 6 letters less than 7 Generation Games and everyone can pronounce it. Me: You all really hate llamas that much? Me: Yeah, we’re not getting sued for copyright infringement. ORG: Okay, agreed. Something shorter than 7 Generation Games. Dennis (our CTO): 7 Rats Games is shorter. Dennis: I’m going to start my own company and call it 7 Scorpions Games. Dennis: You’re in Chile. You can’t stop me. Me: Be quiet. Don’t make me fly back there. Me: 7 Super Llamas Games and our logo can be llamas in a cape! ORG: Why are you obsessed with llamas? Me: Llamas are the only thing people from the U.S. know exist in Latin America. CSG: Not in Latin America. Just the Andean region. ORG: What? I’ve never seen one! Me: You’re from Mexico. We know about your beer. Dennis: Beer games! I would totally buy that! Me: I love Brain Factory. Unfortunately, the name is already taken by a Mexican coffee company. And , hey! 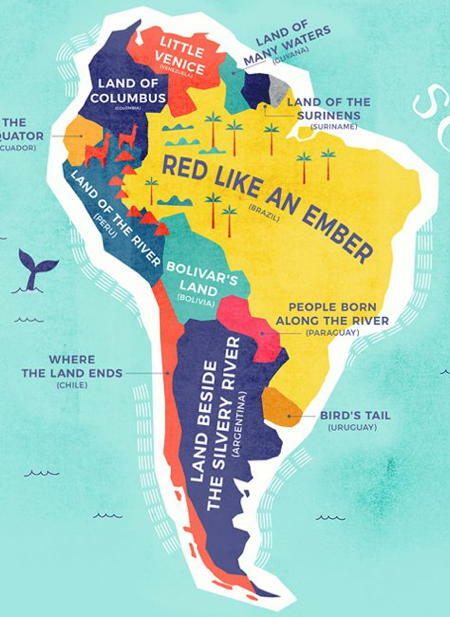 CSG, someone just sent me this map of the literal meaning of names of South American countries and the symbol for your COUNTRY is a llama! CSG: (Very unrepentant) Of course we have llamas. We’re an Andean region. Dennis: Random fact- Nolan Bushnell and Ted Dabney founded a company named “Syzygy”. They produced the first commercial video arcade game, called “Computer Space”. They got a company named Nutting Associates to manufacture it. It wasn’t that successful, so they started work on another one. In the meantime, they found out “Syzygy” was in use already, by more than one enterprise! (A candle company owned by a hippie commune, and a roofing company.) So they picked a new name, Atari. Their next product was Pong, which was a commercial success. What was our resolution? Well, as a group, our staff in Chile, with consultation with our project manager and CEO in Santa Monica, went through all of the suggestions we had internally and from friends, family and colleagues. Then, we checked which of those names were available and found most of them weren’t. We did a survey of 50 people from Latin America and Spanish-speakers from the U.S. with the remaining names. It wasn’t as simple as you would think but, in the next post, we’ll have the big reveal of our name for 7 Generation Games South. Also, we’ll have our new Spanish language website up. We KNOW we haven’t updated it in 2 years (!!) but this is worth waiting for. If English names sell better in Latin America, then “Llamas” shouldn’t be used. Perhaps some word that seems particularly Englsh-y or U.S.-y. or even associated with American Indians or American wildlife: Calumet Games, Tomahawk Games, Lodge Pole Games, Black Buffalo Games, Moose and Squirrel Games, Deer and Antelope Playing Games, etc.